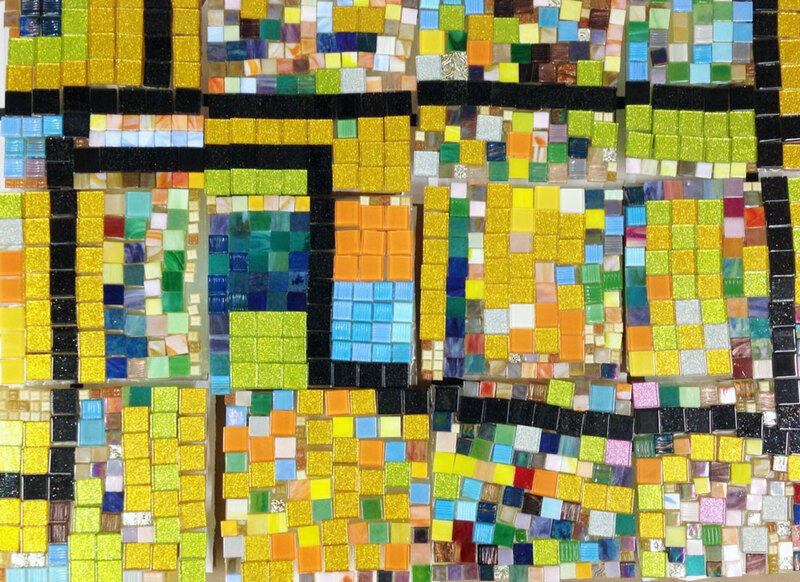 Thought you might enjoy seeing the attached collaboration mosaic piece that was created by 12 budding Oklahoma artists, ages 5-7. This work of art would not have been possible without your “GROUTLess” product, AND, your willingness to work with me on pricing as a teaching artist! Many thanks from Oklahoma! using clear No Days Groutless Mosaic Adhesive. Each of the twelve students were given a 7.5″ x 8″ piece of the map puzzle. Their only instruction was to follow the black lines with black tiles and not to use black anywhere else. They had no idea what they were creating. The excitement in the room grew as I had each student put their piece into place. The clear (Groutless) product was perfect, as they could see their “puzzle piece” through the product as they worked. We recreated the excitement on the final day by revealing this collaboration, installation, performance piece in front of the eyes of their parents. I have just now had a moment to look through the catalog you sent with the order. If all of your products are as perfect as “GROUTLess”, I look forward to testing them in the future. Many, many abundant thanks again for making this an affordable possibility as I work with students in Oklahoma! 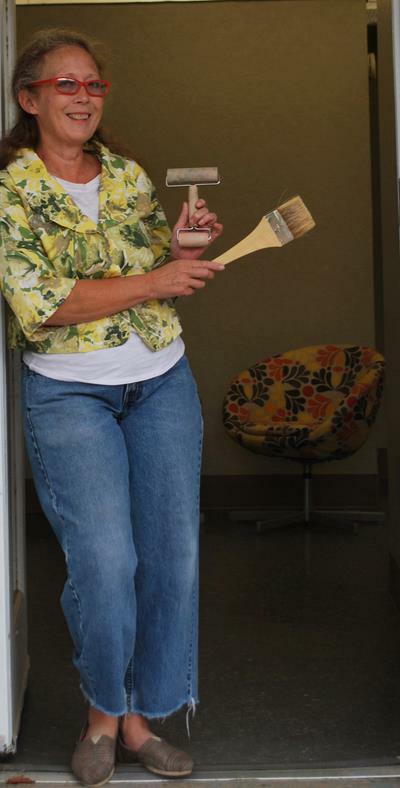 for Oklahoma Arts, invites you in to the Gallery, Happenings, and Creative Learning Experience of Brayer & Brush. express a moment or thought visually together. other art explorers. This fuels Annalisa’s art experience. 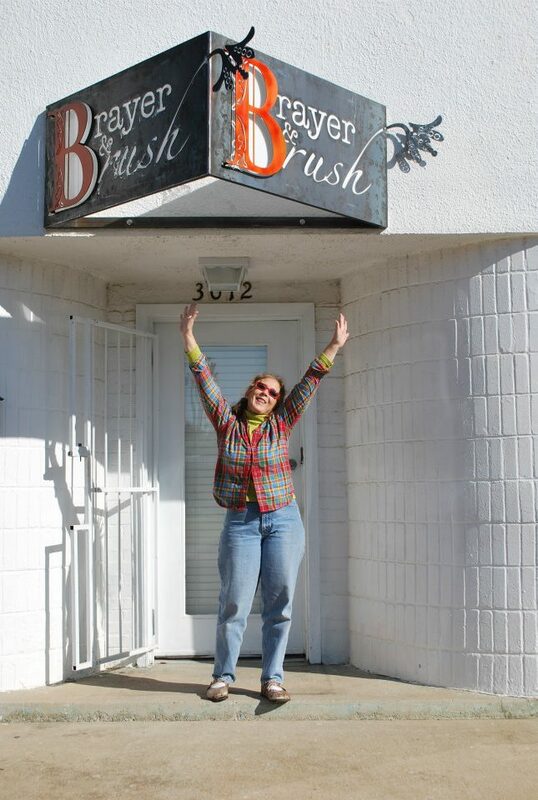 Brayer&Brush, in the Paseo District. explorers. This fuels Annalisa’s art experience.